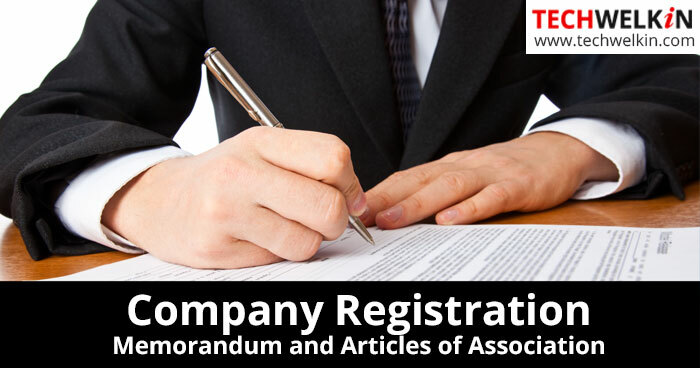 Learn what is Memorandum of Association and what are Articles of Association as per Companies Act. We will also highlight the key differences between MOA and AOA. Recently we received a question from a reader regarding Memorandum of Association (MOA) in connection with registering Section 25 company for non government charity. The person wanted to know the difference between MOA and AOA. According to the Section 2 (28) of the Companies Act 1956, “Memorandum means the memorandum of association (MOA) of the company as originally framed or as altered from time to time in pursuance with any of the previous companies law or the Companies Act, 1956.” Essentially, MOA is a document that contains all the information that is required to register a company. It is also called the Charter or Constitution of the Company. Articles of Association (AOA) is a document that contains rules and regulations that are used to govern the company. AOA defines objectives of the company and charts out how issues like appointment of directors, duties and powers of the top brass, borrowing capacities and voting powers will be handled. MOA is the constitution of the company. AOA is a set of rule and regulations to govern the company’s working. MOA defines objectives, powers and constraints of the organization as a whole. AOA describe powers, duties, rights and liabalities of individuals associated with the organization (like members of the Board of Directors). MOA must contain six clauses. AOA is prepared as per the requirements of the organization. Registering an MOA is mandatory for all the companies. A public company limited by shares can adopt Table A instead of articles. MOA has to be filed at the time of company registration. Filing AOA at the time of company registration is optional. MOA is the supreme document for the company. AOA is subordinate to the MOA. MOA is the dominant instrument and it controls articles in AOA. Any article in AOA that is in violation of the provisions in MOA, would be considered invalid. MOA of a company can not be amended with retrospective effect. AOA of a company can be amended retrospectively. MOA is defined in the Section 2 (28) of the Companies Act 1956. AOA is defined in the Section 2 (2) of the Companies Act 1956. MOA is subordinate to The Companies Act. This means that MOA can not give any company a power that is not in accordance with the Act. AOA is also subordinate to the Companies Act; but AOA is also subordinate to the MOA. MOA defines objectives of a company. AOA defines regulations with which the company will achieve objectives defined in MOA. So, these were the definitions of Memorandum of Association and Articles of Association. We also highlighted major differences between MOA and AOA. We hope that this article was useful in clearing your doubts. Should you have any questions, you may use the comments area given below. TechWelkin Team and our reader community will try to help you. Thank you for using TechWelkin! Damn good. Thanks a lot. I really needed to know. You have put it all together like a dream!!!!!!!!!!!!!! kudos.